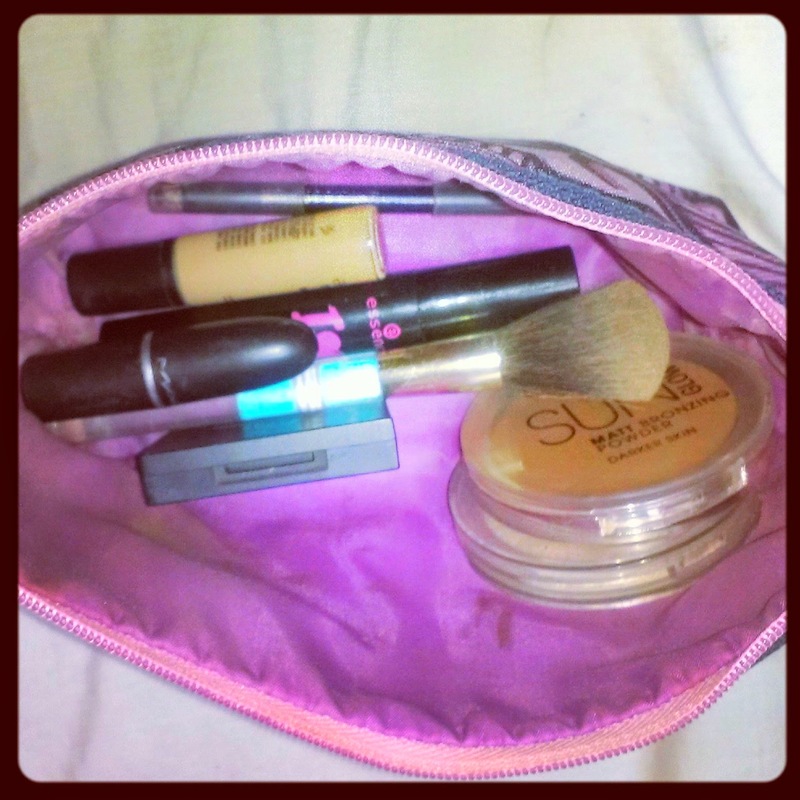 Today's post is just on what is usually in my make-up bag on an average day when I am heading to work. I use a lot of affordable products mixed with the odd MAC/higher priced item so I thought it would be good to share this for anyone who is interested! 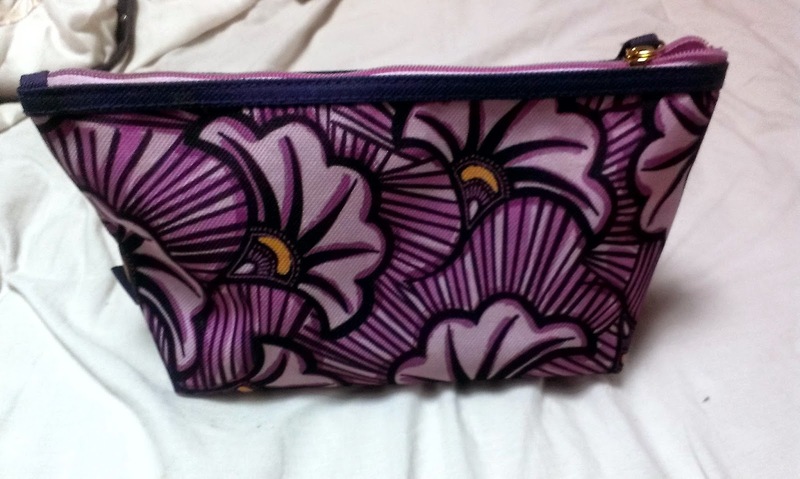 So first, the make-up bag I am using at the moment is by Estee Lauder, I got this bag as a free gift when I purchased two items or more from Estee Lauder, the items I got at the time were the Double Wear foundation and a Primer. I love this foundation for day wear however when you use it on a night out, it doesn't have light reflecting pigments so it makes your face look really white in comparison to your tan in photos. 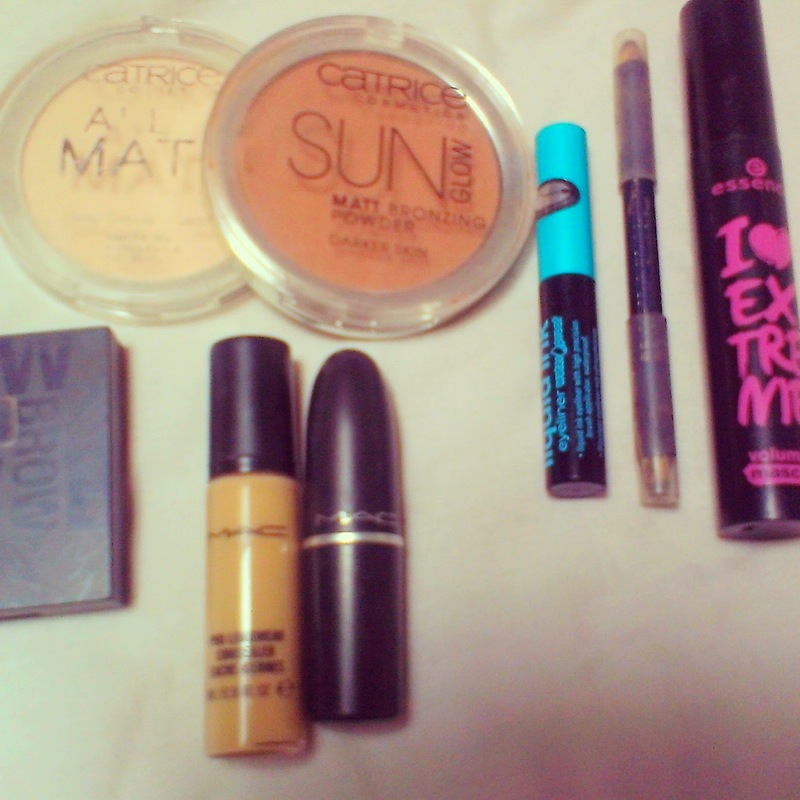 Anyway, back to what's actually IN the make-up bag at the moment! I am currently using Essence Foundation which you can read my review on HERE!!! However, I have been trying to reduce the amount I carry around in make-up bag so I have stopped carrying a foundation with me. I currently have, a mascara (I very rarely top up my mascara during the day but it's always handy to have). 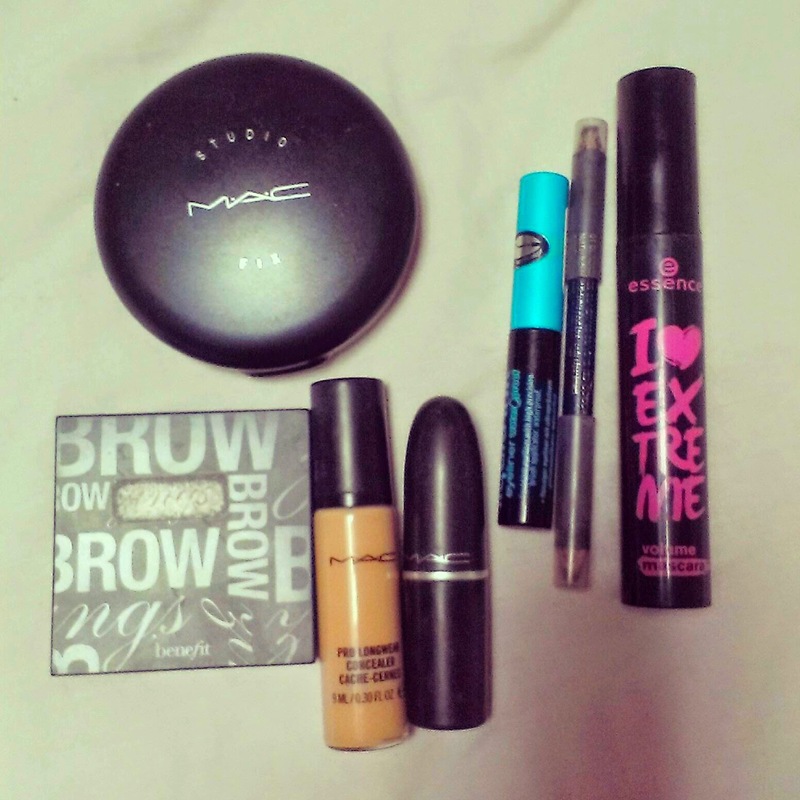 My liquid eyeliner, a pencil eyeliner, a lipstick (which ever one I have chose to wear that day), a powder and bronzer and my eyebrow bar. I also carry my eyebrow bar with me just in-case I ruin my brows when I top up my powder or something! 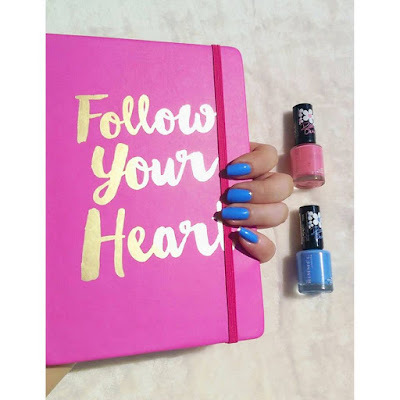 And I always carry my eyeliners as they are definitely something I top up throughout the day!